With a bootable USB drive you can install a OS (XP, Vista, WIndows 7, Windows 8, Linux etc) or run a live Linux OS. 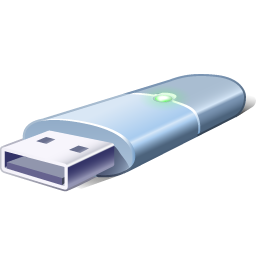 Below is two free software using which you can easily create a bootable USB drive. Passcape ISO Burner: It is small tool for creating bootable USB drive from an ISO image. It can also burn a ISO image on a CD / DVD / USB drive. You can extract ISO images to disk also. No installation required, the program does not write anything to your hard disk or registry. UNetbootin: UNetbootin allows you to create bootable USB drives using an ISO image without burning a CD. It runs on Windows, Linux, and Mac OS X.
I have found one more free tool to create bootable USB drive. FlashBoot: FlashBoot is a tool to make USB disks bootable. Its primary focus are USB Flash disks, but other types of USB devices are supported as well. Making disk bootable involves formatting and copying operating system files to it. Different operating systems are supported: Windows 7/Vista, Windows XP, SysLinux-based disks, GRUB4DOS disks, Linux kernel etc. You can also try UltraISO to create bootable USB drive. Its a paid software, but you can download the free 30-days trail version and use it for 30 days. Its one the best and very easy software to make bootable USB drives. If you know any more such free tool, please share with us using comment box below.